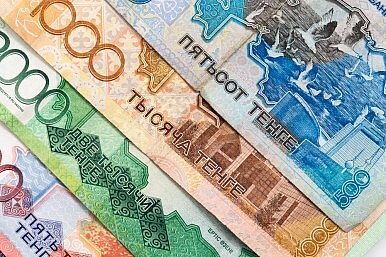 Kazakhstan’s currency, the tenge, closed out 2015 at a record low and the early weeks of 2016 show no signs of improvement. At the same time, oil prices flirt with lows not seen in over a decade. The currency troubles are more than just number games on stock exchanges. RFE/RL’s Kazakh service reported that dozens of people gathered outside the offices of two Almaty banks on January 12 to protest. The protesters were asking that the banks recalculate their mortgages in tenge — the cost of mortgages tallied in foreign currencies has exploded as the tenge devalued. The report says that there have been several protests in Almaty and Astana over the past few months. By the end of the January 12 trading session on the Kazakhstan Stock Exchange (KASE), the tenge hit another new low of 367 per dollar. TASS reports that exchange offices in Astana and Almaty are selling dollars for 369-370 tenge per dollar. The tenge ultimately lost out to the Azerbaijani manat for 2015’s worst performing currency, but that’s a hollow victory given its continued fall. On January 11, KASE posted a press release saying that Yeszhan Birtanov, chairman of the management board, had resigned “upon his request due to transfer to another appointment.” What that new appointment is wasn’t stated, but Birtanov’s wouldn’t be the first head to roll in connection with the tenge’s troubled tango. The continued fall of oil prices heavily influences the tenge’s fate (and that of all oil producers). With oil at a low not seen in over a decade, flirting with $30 a barrel, many are wondering how much lower it can go. CNN Money reports that OPEC (the Organization of the Petroleum Exporting Countries) is considering an emergency meeting and could potentially move to cut production across the cartel to reign in the crisis. While Kazakhstan and Russia are not members of OPEC, the oil cartel — which counts oil majors Saudi Arabia, Iran, and Venezuela among its members — has massive influence over market supply and therefore also global prices. OPEC’s price war (really, Saudi Arabia’s price war) with U.S. producers started in 2014 and through 2015 the cartel neglected to revise production quotas — instead aiming to drive U.S. producers to bankruptcy with oversupply and low prices. It hasn’t worked. The effects of this price war in Central Asia are failing currencies and economic turmoil. The World Bank says that Kazakhstan’s GDP growth slowed from 4.4 percent in 2014 to an estimated 0.9 percent in 2015. The forecast for 2016 is not much better at 1.1 percent. With each new economic forecast, the estimates are revised downward. And as the protest in Almaty demonstrates, there are societal ramifications to persisting economic trouble. The recovery of the Kazakh economy depends on Russia and China.